After living and working in Germany, Priscilla Adefisoye moved to the UK to seek new opportunities. She spent a while working, then began looking for a university to further her studies, and it wasn’t long before she found out about LSBU. Priscilla was impressed by the facilities on offer to legal students, as well as our graduate employment rate, and her high opinion of LSBU was only raised further when she attended one of our popular Open Days. Having graduated from her LLB Law course, Priscilla is pleased to say that those early expectations were met in full, and that she was not disappointed by her LSBU experience. 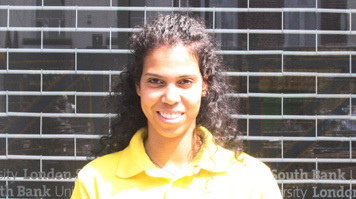 As well as the skills she gained (and the money she earned), Priscilla feels that being a Student Ambassador is about giving something back – especially as she recalls that her own Open Day experience as a prospective student was made much more useful by the involvement of Student Ambassadors.